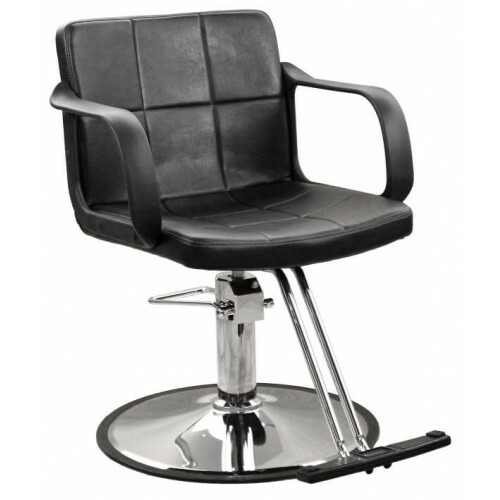 Jeffco 7219.0.G EKO Styler - Durable, nicely padded chair with upholstered premium Black vinyl, curved Black urethane arms, T-bar rubber footrest. 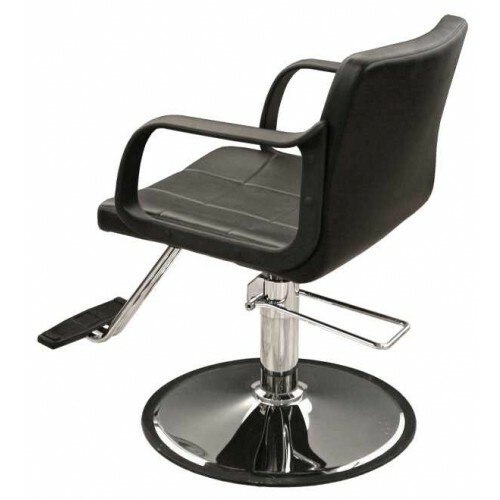 The chair is placed on a "G" base, which comes with a two year warranty. 20" between the arms, 16" high back.